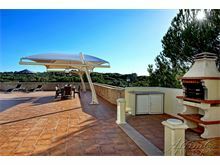 Situated in the prestigious Monte Judeu residential area, this villa is a superb choice for large parties. 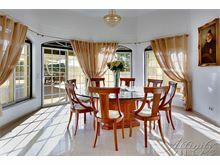 Enjoying an elevated position and set within substantial grounds, the property is spacious both inside and out. 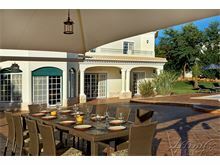 The very large swimming pool is sure to provide a focal point for any family holiday and the covered outdoor dining area with adjacent built in charcoal barbecue is the perfect spot for evening meals and admiring the tremendous views of the surrounding countryside and distant views of the coast and Alvor. Inside, the villa is bright and modern and the owners have carefully considered the needs of guests with a computer gaming room on the upper floor, a separate games room with table tennis table and cinema screen on the lower floor plus, for young children, a small play area outside, whilst the stylishly furnished main living room is on the ground floor. 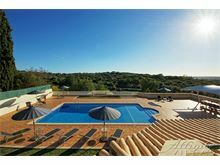 The very popular resort of Alvor is a short drive away with its beautiful beaches, promenades and restaurants along with the world famous Penina resort which is also nearby. 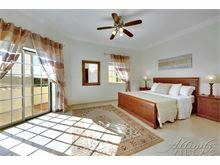 Approximately 5km from the amenities in Alvor and 9km from the beach. 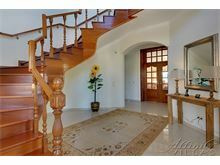 Double gates open to a cobblestone driveway and parking area, leading to the front door. 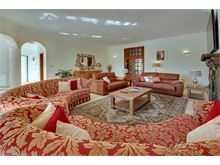 Entrance leads to a galleried hallway and sweeping staircase with double doors opening to a large open-plan sitting room with TV, dining room with large round table with patio doors to the covered terrace and pool. 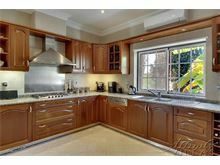 Kitchen with dishwasher, microwave, American-style fridge and 5 ring hob. Office. 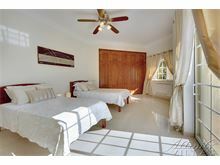 Double bedroom with en suite bathroom with Jacuzzi bath and separate shower, patio doors lead to a terrace at the side of the villa. 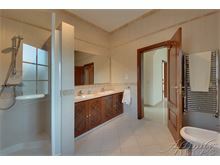 Twin bedroom with en suite shower and terrace to pool area. 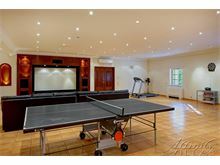 Stairs down to a second living room with comfy sofas, table tennis, movie screen with DVD projector (please note that the dartboard has been removed). 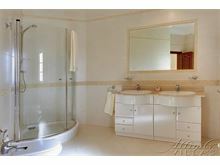 Additional bathroom with shower. Laundry room with washing machine and tumble dryer. Stairs up to master double bedroom with large walk-in wardrobe, en suite with jacuzzi-bath and separate shower, patio doors to terrace with nice countryside views overlooking the gardens and pool. 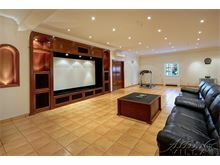 Games room with 2 TV’s and games console (please ask for more details). 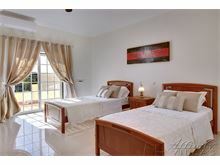 Two further twin bedrooms, both with doors to a terrace and share a bathroom with walk-in shower. Maid service 3 times per week. Pool heating available at extra charge, if required. 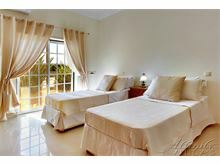 This villa is wonderful, plenty of space and very well equipped. The pool is fabulous. House manager was first class. The villa was excellent and we all thought even better than it looked from the online description we adults had a really great holiday and the children had a wonderful time thank-you. The villa was everything we wanted for our first family holiday, we couldn’t of asked for much more. Will be returning again one day. The villa was very spacious which was favourable for our very large family and the facilities met the various age ranges of our children. It was exceptionally clean. You will definitely need a car for this area but it is a very short drive to Alvor, Lagos and Portimao. We all had a wonderful Holiday, thank you Affinity Villas, we will be booking for a third time again! Beautiful villa I thought it was much nicer than described online. Would definitely recommend. The house manager was very good. 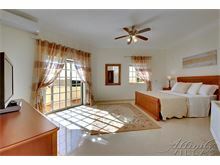 I will be booking again with Affinity Villas as we received an excellent service and fantastic value for money. Thank you so much. 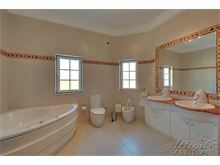 Beautiful villa, surpassed all expectations. We celebrated my 65 birthday with daughter husband two boys 10 and 12 years and son and wife with two girls aged 10 and 6 years. The pool is superb, gardens beautiful and outdoor eating facility great for everyone. We thoroughly enjoyed the experience. Thank you. 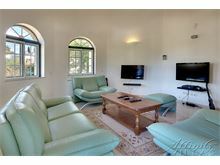 An Amazing stunning villa, equipped with everything you may need. Fantastic pool & gorgeous grounds. Excellent house manager & maid service. Great Villa. 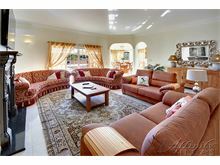 Spacious and well maintained. Beautiful views. Requires a car. Villa was excellent, very clean, beautiful pool, Was a lovely holiday just a shame we only went for a week. 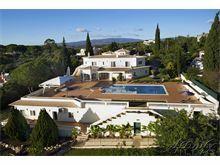 55 Monte Judeu is a wonderful villa with excellent facilities, great pool and gardens, spotlessly clean and had great support from the House Manager. 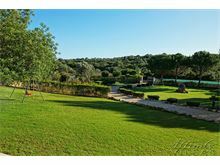 A stunning elevated villa situated in rural surroundings with views through farmed land and orchards towards the sea. 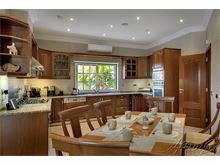 A very private,quiet villa set amongst trees and not overlooked with other residential luxury villas close by. 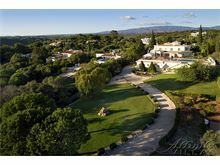 The villa is maintained to extremely high standards with grounds including small orchard and beautiful landscaped borders with plenty of safe room for children of all ages. Excellent pool and external eating /bathing areas including false grass for putting and boules. 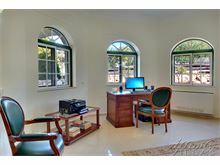 Inside is as if it was built very recently with ample space for large groups whether business in the small office/library or quiet reading /video games room. 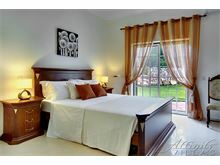 A very special villa,well maintained and offering a unique vacation for all to enjoy. 55 Monte Judeu villa was stunning. 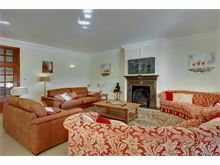 Spacious clean, quiet and truly prestigious. Amazing gardens and pool area.